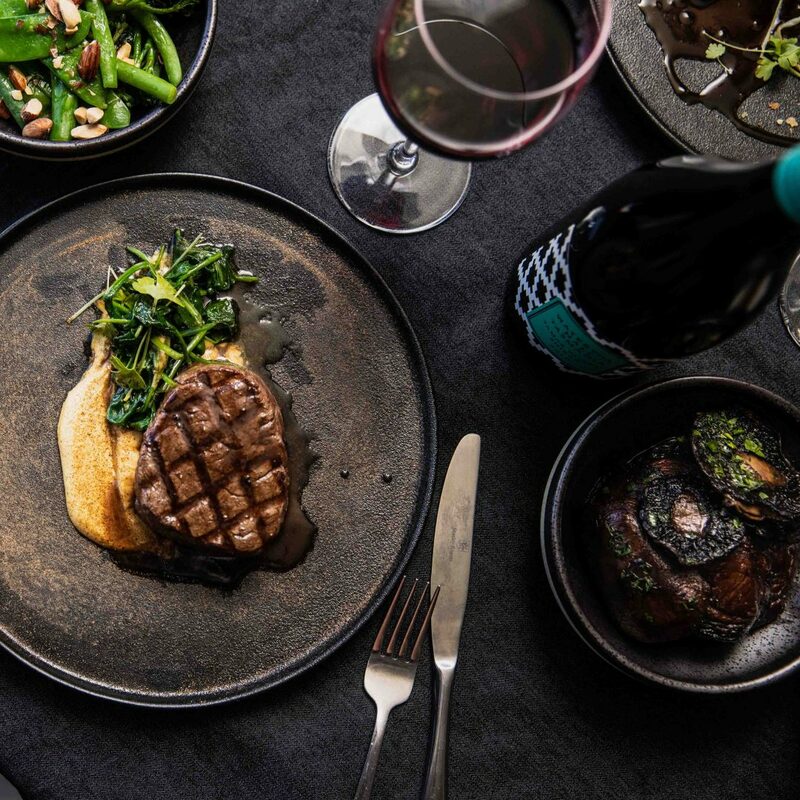 We love all things Tasmanian and we’re lucky enough to have some of the freshest local produce going around and it makes for some pretty tasty products. Located in Pontville about 32 km from us, this distillery is a family affair. The almost 200-year-old building has been slowly transformed to its former glory by the Kernke family and is now open to the public. We love the story behind this Tasmanian family and we also don’t min their very tasty unfiltered gin. You can stop by and try Sheene Estate for yourself in our Atrium Bar. Sullivans Cove was awarded the worlds best single malt in 2014. Located in Cambridge not far from Hobart Airport, you can pop in for a tasting on your way to the city. But do check their opening times prior to arrival and make sure you’ve got a designated driver, just to be on the safe side. This product is a limited realise and we only get a select few bottles so if y9ou see it on shelves – we encourage you to try it! Belgrove Whisky is made in Kempton about 40 minutes north of Hobart. The distiller Peter Bignell was a farmer for over 40 years but with a true Tassie “can do” attitude he made his own still. Peter grows his on rye, heats his still with leftover biodiesel from the roadhouse near his farm – making his business extremely suitable. His original rye whisky is very tasty but if that’s not to your taste – he also makes a delicious apple brandy. For a chance to go out and meet Peter, you will need to arrange a tour with our mates at Drink Tasmania. Last and certainly not least is Lark Distillery. Bill Lark gt the name of “godfather of Tasmanian Whiskey” when he fought (and won) to overturn laws banning distilling which had been around since the 1800’s. The Lark family has been distilling since 1992 and rumour has it, they’ve even sold a still or two over to the Scot’s. The Classic Single Malt is amazing and well worth a try but if whisky isn’t your thing – they also make gin using local ingredients like Tasmanian Pepperberries. You can visit the Lark Cellar door just across from the Hotel Grand Chancellor Hobart & Restaurant Tasman on Davey Street. We struggled to keep this section to just three producers as there is so much good golden stuff around these days. Be sure to pop down to the Atrium Bar and have a look at our collection of darker spirits. Located in Franklin in the Huon Valley, Frank’s cider prides itself of producing quality and tasty ciders using tree ripened fruits. Frank’s has a long standing history dating back to the 1800s when their first fruit trees were planted. The apple cider is crisp and refreshing whereas the pear cider is an Atrium favourite, slightly sweeter in style. 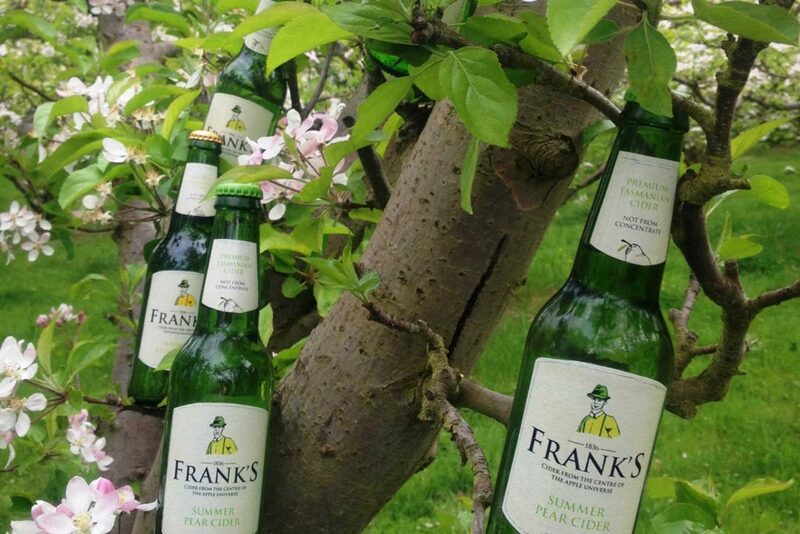 You can also discover Frank’s ciders including their cherry pear and raspberry pear at their cellar door. 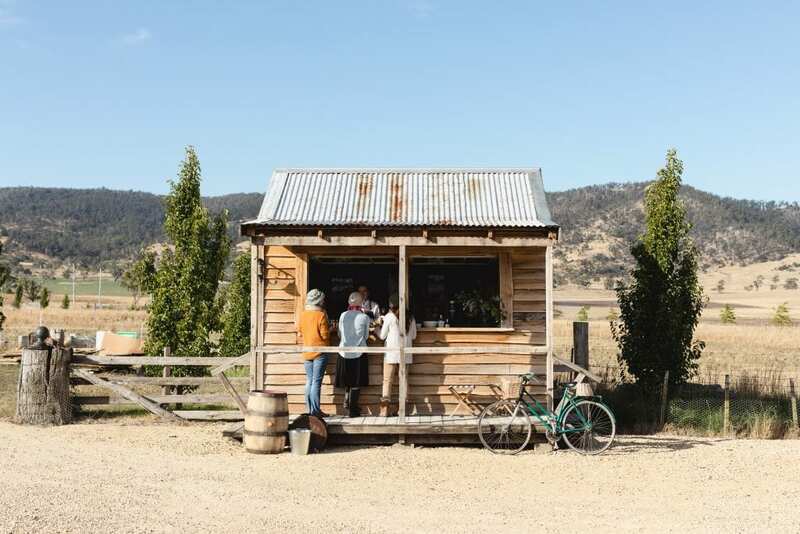 Located approximately 48kms south of the hotel, it’s the perfect pit stop for cider, cheese or a coffee. As the world of craft brewing continues to grow and evolve, it seems every man and his dog wants to get in on the act. 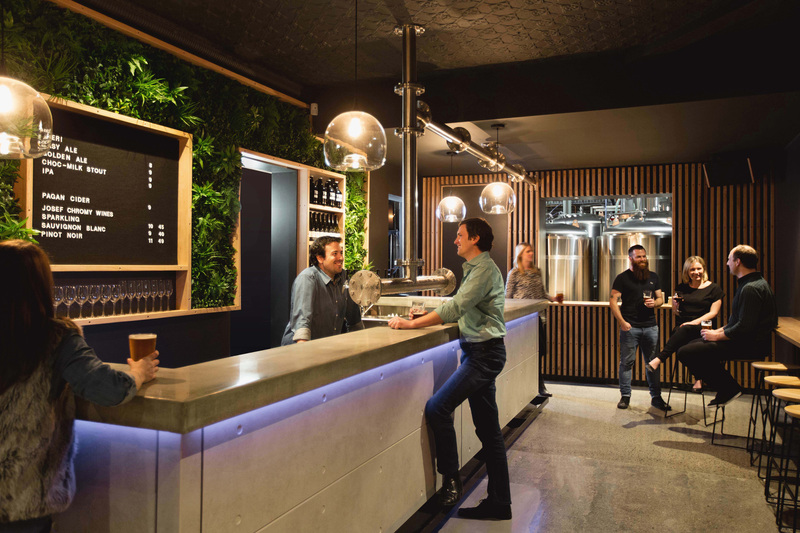 But there’s something a bit special with Tasmanians breweries a guess having the benefits of Tasmania’s pure water and soil conditions help the cause. Tom Bignell began commercially brewing craft beer out of his father’s distillery at their family property ‘Belgrove’ in Kempton. Does the name ring a bell? It didn’t take long before T-Bone Brewing Co. was conceived. Their signature brews are handcrafted onsite, a perfect setting to try their products, that have been well looked after and taste amazing. T-Bone’s brewing methods are environmentally sustainable – grains used in the brew is then used to feed livestock on the property and the boil is generated by used cooking oil. Try their pale ale in the Atrium. This vineyard holds its name from when Holm Oak trees were grown there for the production of tennis racquets in the 1930s. Thank goodness the quality wasn’t up to scratch and grape vines were planted in the 1980s instead! This local favourite from the North in the Tamar Valley still hand pick all of their grapes. Visiting their cosy cellar door will also give you the chance to hand feed Pinot the Pig. 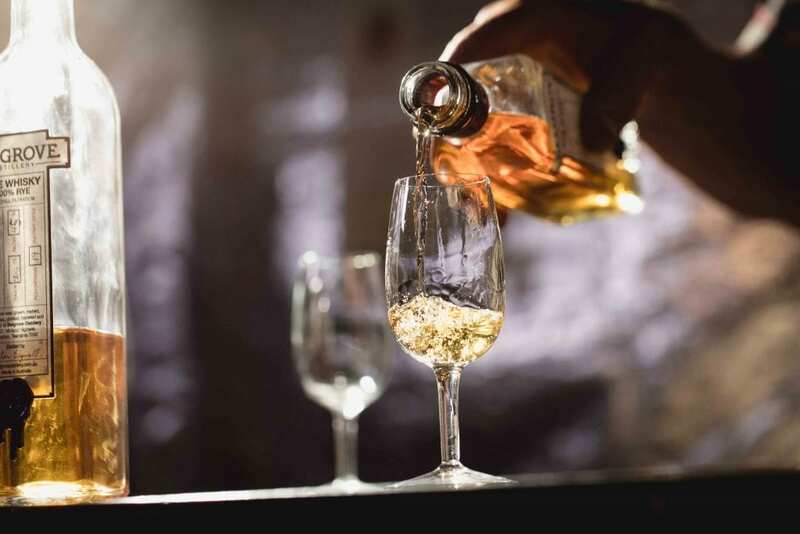 Awarded 94 points by James Halliday, you can try their 2016 Sauv Blanc in the Atrium Bar or Restaurant Tasman – it’s got hints of passionfruit and gooseberry flavours. Tasmanian oysters have a very distinctive flavour and a fresh aroma which producers put down to our clean environment and the cool temperatures of the southern ocean. Restaurant Tasman’s chefs feature natural oysters or baked oysters nightly on our menu. We hand pick our Pacific oysters daily from either the north, east and south-east coasts depending on availability. Tassal salmon is a leader in Atlantic salmon production in our state. Our chefs share Tassal’s passion to share high quality, tasty, Tasmanian salmon. We have a delicious main dish of salmon with beetroot gnocchi in Restaurant Tasman and a board of fresh local seafood in the Atrium Bar. There is also a Tassal salmon shop in Salamanca worth a visit to stock up on salmon products, cooking utensils and recipe books.